Now a kit with 4 popular sizes in one kit. 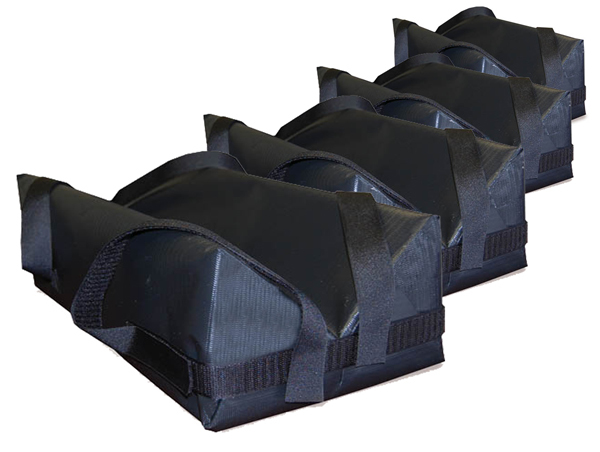 One Small (10 x 4 x 3), Medium (15 x 7 x 5), Large (24 x 11 x 7) and one X large (36 x 14 x 9) vinyl covered immobilizer troughs. These immobilizers are polyurethane foam covered with Techno-Tuff nylon reinforced vinyl. They feature hook and loop straps with which to secure limbs while in position.